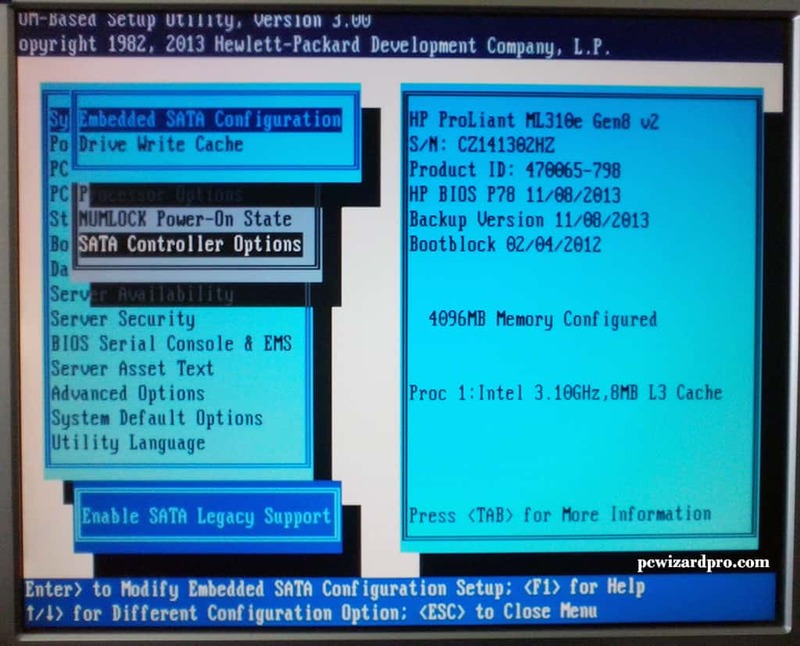 Here we gonna explain how to install a Windows 7 on a HP Proliant ML310e Gen8 V2 Server. Installation of Windows 7 on this server came to a “little” problem. 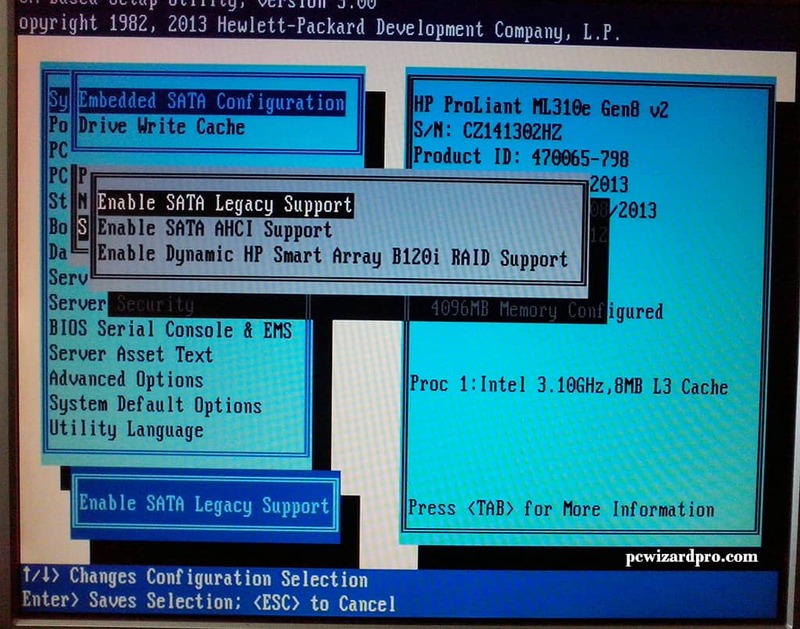 This specific model have a Smart Array B120i RAID Controller, that don’t comply with Windows 7. When we try to install the server with Windows 7 and RAID=0 (Hard Disk Drives in Mirror Mode), the installation complete and after the restart the Windows don’t start. It just restarts itself over and over again. Maybe gonna be of use for someone. The installation with Windows 7 we complete with RAID Controller -> OFF. This is a bit problem when you need a RAID 0 (Hard Disk Drives in Mirror Mode). In other case when you don’t need RAID mode, the installation of Windows 7 complete without problem. 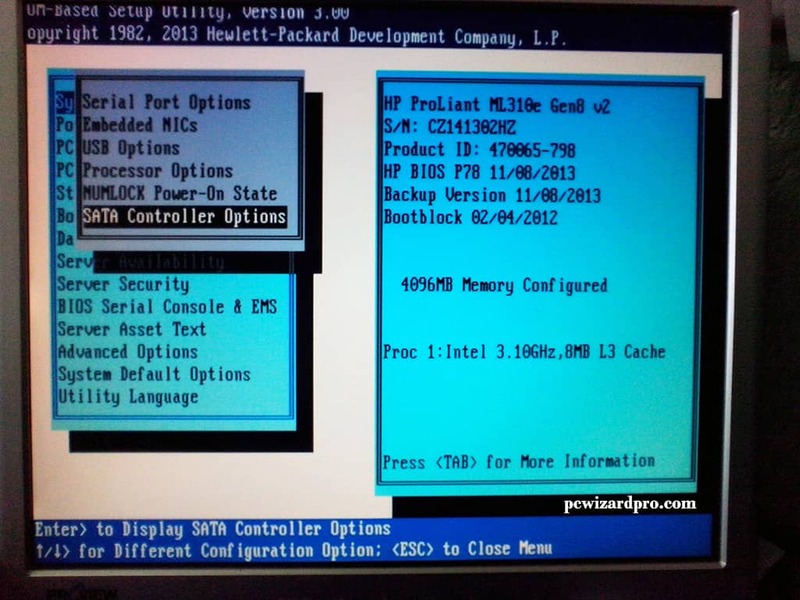 Here we gonna explain how to disable RAID Controller in BIOS. 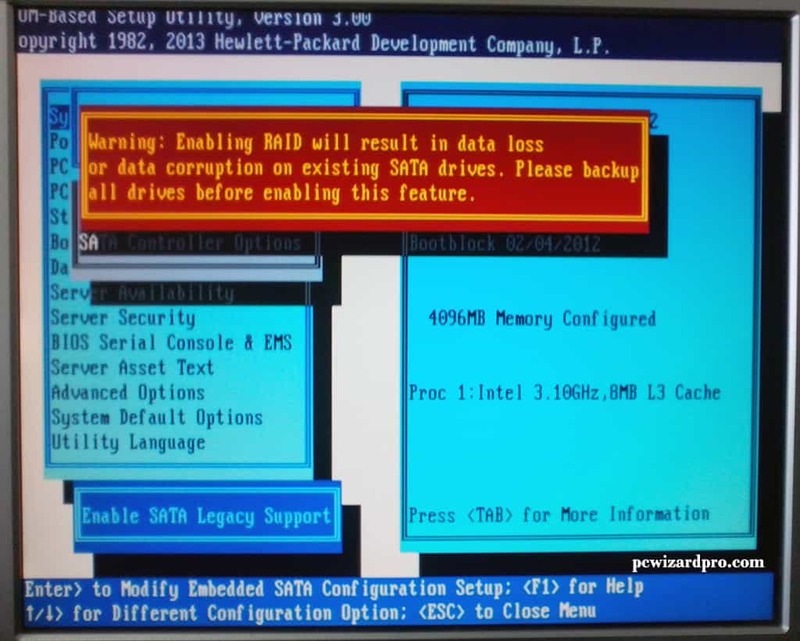 Here we select the option Embedded SATA Configuration, and here is shown a warning: Enabling RAID will result in data corruption on existing SATA drivers. Please backup all drives before enabling this feature. In our case that doesn’t mater because the server is new and there is no data on the hard drive. But in a case when the server was installed before and now is reinstalled, there must to backup the data because with this operation all the data from the hard drives will be lost. Here we select the first option in a case we need to install Windows 7 OS. 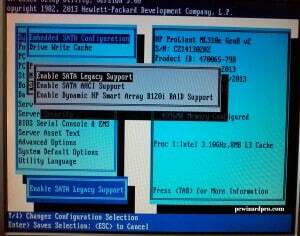 The second option is for AHCI Support, but during the installation we need to provide the AHCI driver. The third option is for RAID Support, what in this case don’t do the job. After selecting the first option, we exit from the setup by pressing F10. The server restarts and during the boot we need to press F11 for boot Menu. 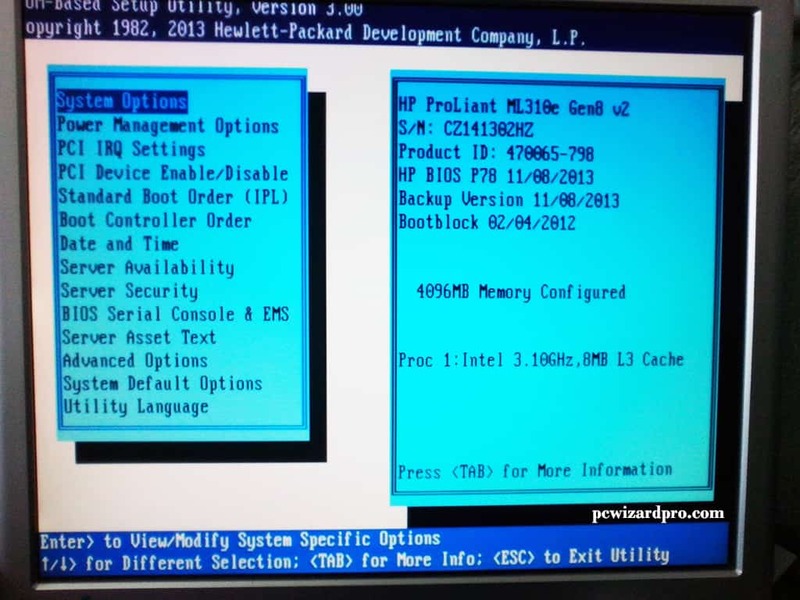 In the boot menu we select the bootable device from who we install the Windows 7. In our case that is CD-ROM. After that the installation of Windows 7 is done like on a PC. 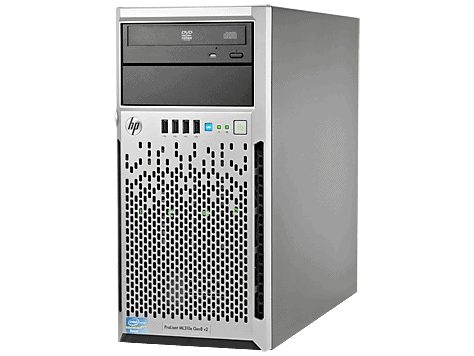 This entry was posted in Installation and tagged HP, installation, Server by Tome Trajkov. Bookmark the permalink. It’s a bummer that they won’t supportWin7. I was hoping to deploy it for NVR and use RAID 1. I guess you get for what you pay. 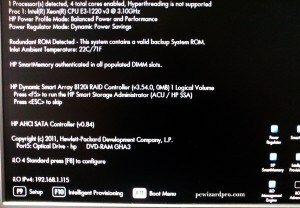 Not willing to upgreat to better controller or pay for server OS. Thanks for the article/info. RAID=0 (Hard Disk Drives in Mirror Mode) ? Raid 1 is mirroring, but you need 2 drives to do it. Yes Dave, thank you for your suggestion. That is correct. Thanks a million for the tip. It sure saved the day for me! Thank you for this guide. It really help. Very helpful. 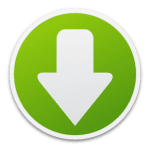 Now can install Ubuntu Server…. 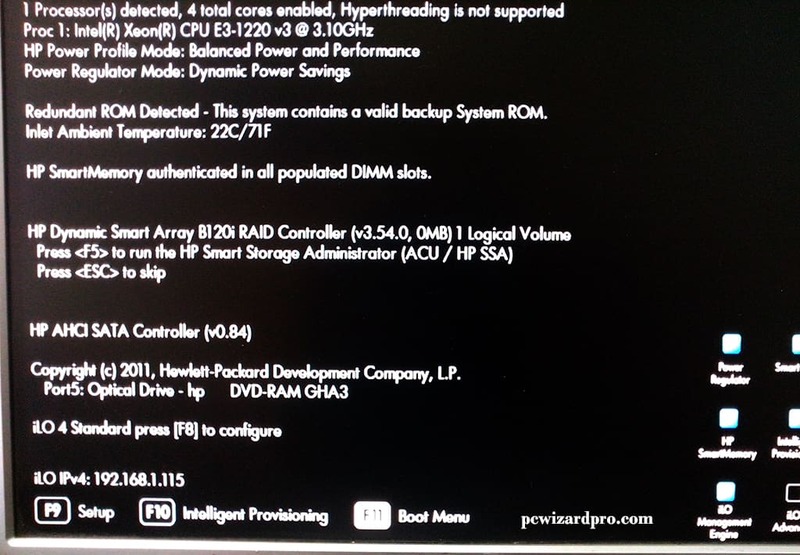 How do i install the b120i drivers please?